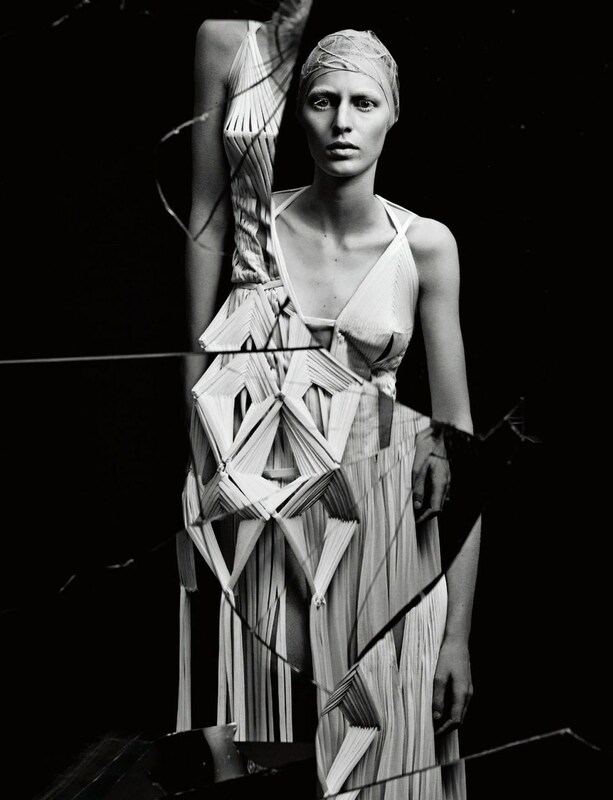 *Broken Down* Editorial with Julia Nobis, shooted by Craig McDean for *Interview* Magazine, April 2015 issue. Model Julia Nobis showcases this season’s most daring designes in *Broken Down*. The avant-garde Art of Haute Couture captures our Imagination. Behind broken glass looks explode Alexander McQueen, Chanel, Dior, Giambattista Valli and of course the great Haute Couture gowns from Maison Margiela Artisanal ( by John Galliano). Stylist Karl Templer Hair Eugene Souleiman, Make-up artist Mark Carrasquillo.